BBST Foundations – Completed & Passed! 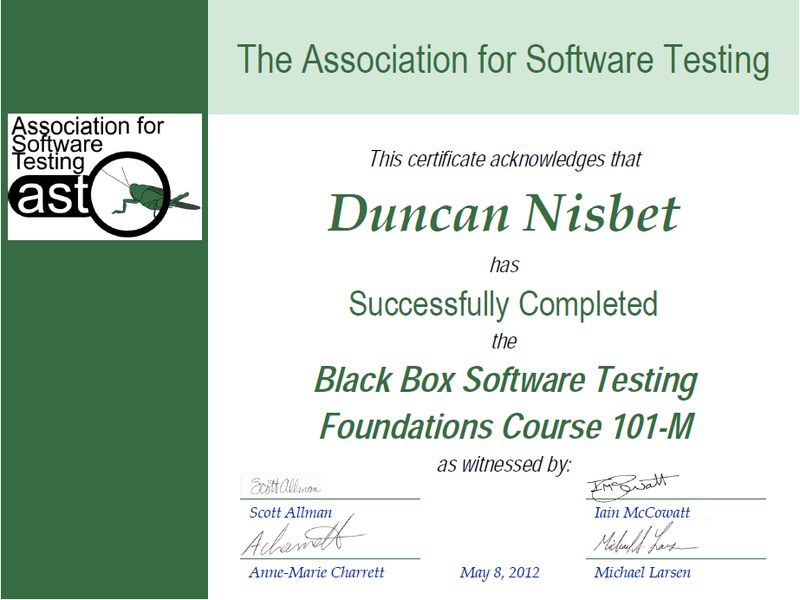 I’ve just got the confirmation through that I’ve passed the BBST Foundations of Software Testing Course! It was a tough month, but the course was fantastic & well worth the effort. I’ve met a great bunch of guys & gals on the course & hope to keep in touch in the future – certainly some very knowledgable people who will be great to pose questions to a later date. Call them my “phone-a-friend” if you will. Now onto Bug Advodcacy & Test Design!